At least practice ended on a positive note for the offense. On an otherwise good day for the Washington defense — and that, indeed, has been the general theme for much of these practices the past handful of years — the No. 1 offense closed out Wednesday’s practice with its only touchdown of the day. That came on a 4-yard pass from Jake Haener to Salvon Ahmed on fourth down, capping an 11-play drive that began at the defense’s 46-yard line. Early in the drive, Haener had a couple of completions to Andre Baccellia and a couple later to Marquis Spiker. Sean McGrew converted on fourth-and-2 with a 4-yard run. Kamari Pleasant added a 10-yard run and another 5-yard run to get the offense inside the 10-yard line. The only other touchdown of the day during 11-on-11 period came during a drive for the No. 3 offense, when redshirt freshman RB Richard Newton scored from 2 yards out. You might think Kyler Manu shouldn’t start. He's out to prove otherwise. 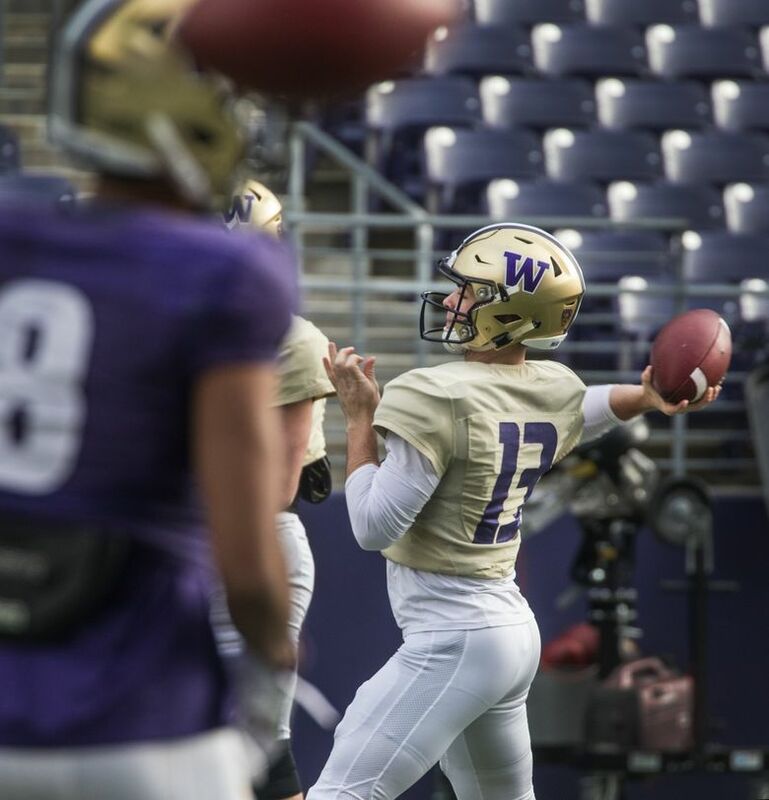 Calkins | Does UW have the tools to turn around worst offense of Chris Petersen era? 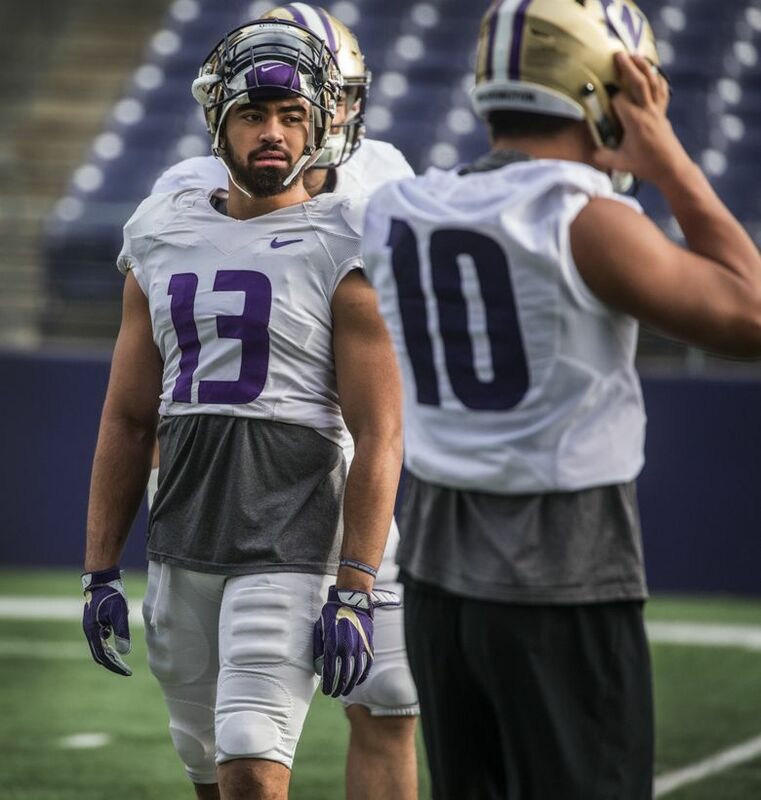 In all, there were 95 plays during team periods, and Haener and Jacob Eason continued to split snaps with the No. 1 offense. 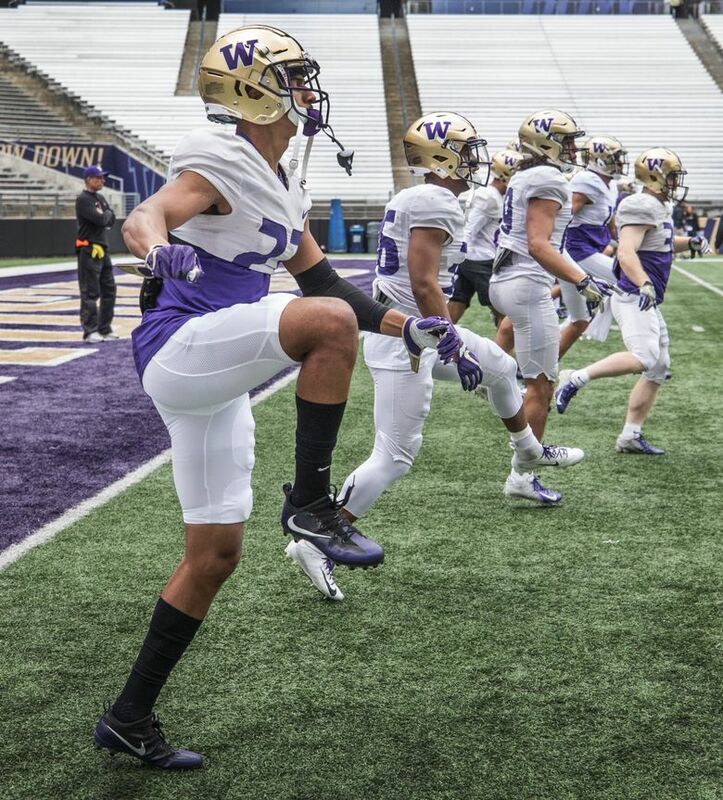 Haener opened practice with the ones, and they rotated throughout. Haener and Eason were solid but unspectacular Wednesday. 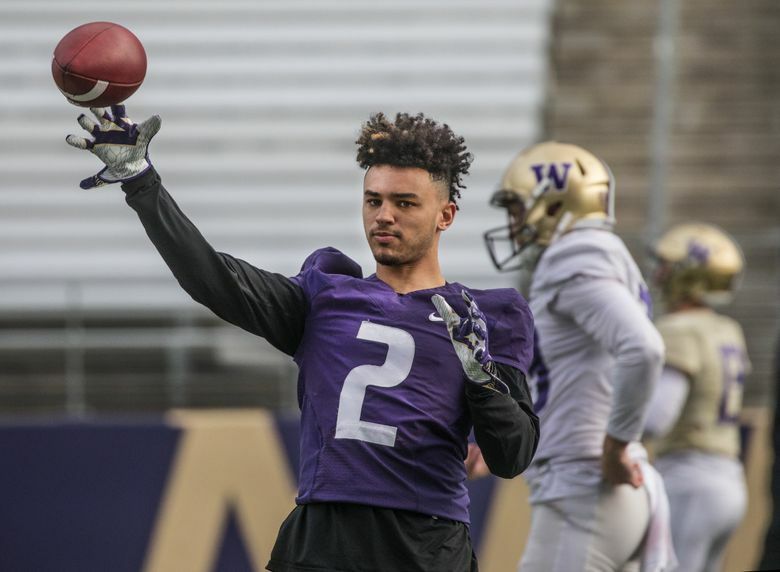 Haener, as noted, had the only touchdown throw of the day, and Eason threw his first interception of spring ball — on an awkward Hail Mary at the end of a 2-minute period when he was running backward near midfield and the ball popped up and was intercepted at the 25 by Isaiah Gilchrist. Redshirt freshman Jacob Sirmon had two series with the No. 3 offense and Colson Yankoff had one with the threes. Sirmon nearly had one pass intercepted by Gilchrist, but came back on the next play and hit Jordan Chin in stride for a gain of some 30 yards up the left sideline. Yankoff used his legs for a 21-yard gain to convert on fourth-and-long. 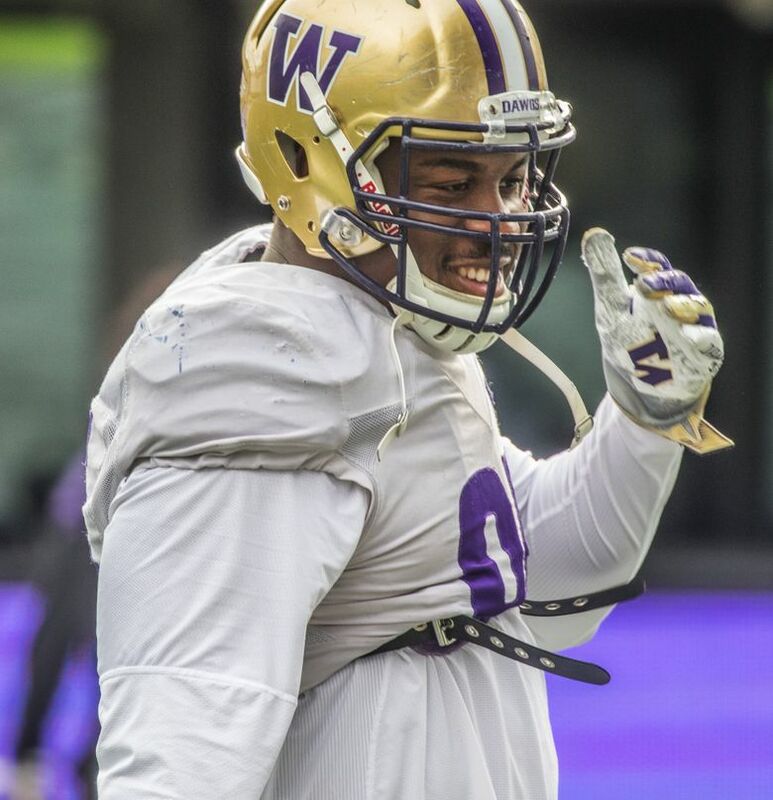 You’ll recall that UW coaches tried to get senior left tackle Trey Adams into the end zone one time in his career. That was in September 2017, against Montana, and Adams caught a pass inside the 15-yard line but was tripped up short of the goal line. He nearly had a touchdown Wednesday. A Haener pass was deflected by safety Brandon McKinney and bounced right to Adams, who made the catch near midfield and playfully ran toward the end zone. The whistle quickly blew, but who knows — he might have made it all the way if they had let him try. — Sophomore kicker Peyton Henry made all five of his field-goal attempts, all in the 30- to 35-yard range. 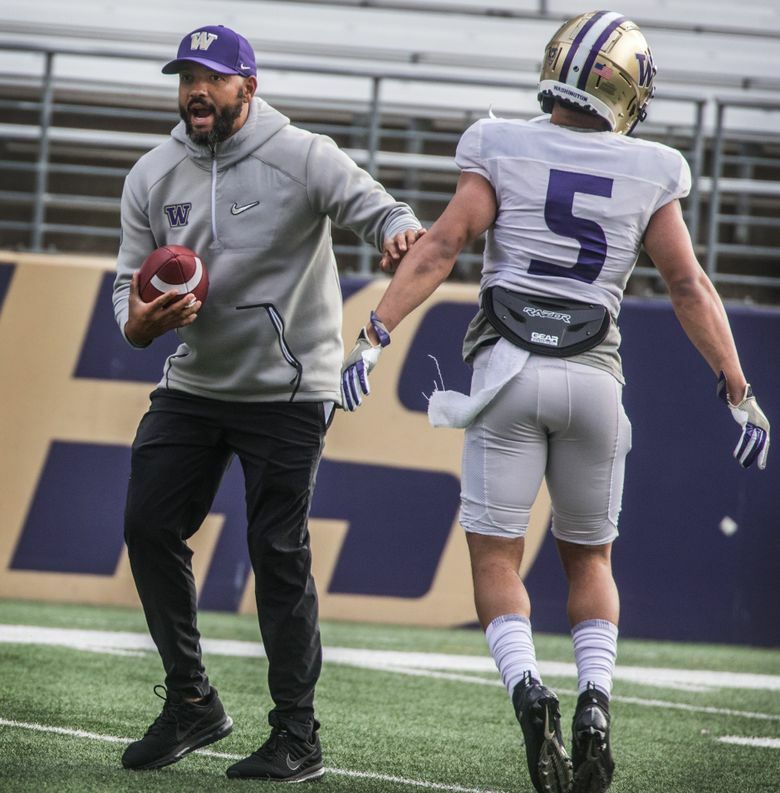 — The defense played quite a bit of dime, with Dom Hampton and Kyler Gordon as the outside corners, Myles Bryant and Brandon McKinney as the safeties, and Elijah Molden and Keith Taylor as the nickel/inside backs. Molden had a big tackle for a loss of Ahmed, and Taylor had a strong day overall. 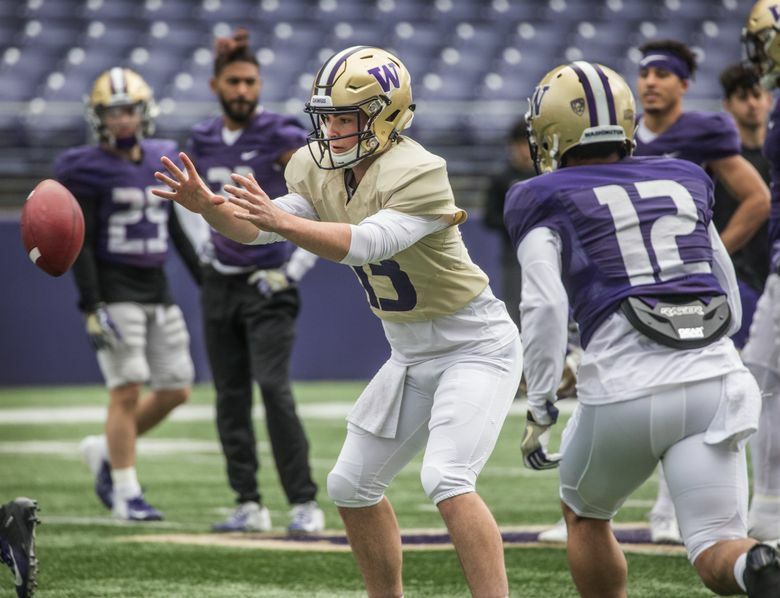 — The quarterbacks were under pressure much of the day, with Ryan Bowman offering a consistent rush, and Benning Potoa’e and Myles Rice combining on two touch sacks.